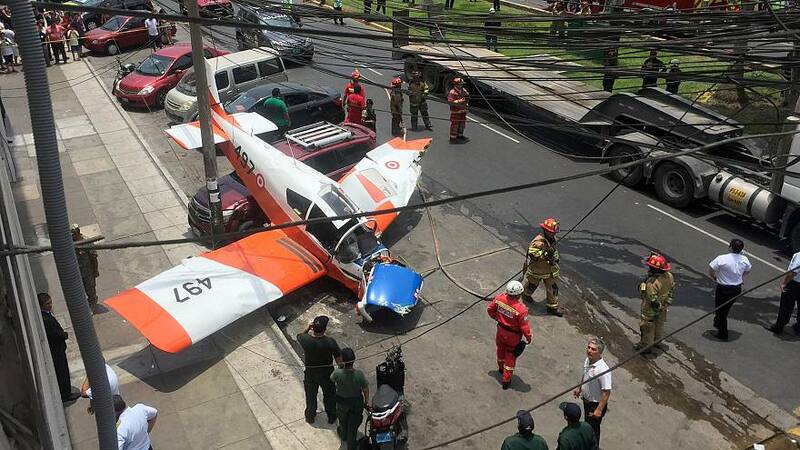 A Peruvian Air Force aircraft made an emergency landing on Monday on top of a car in the middle of a street in Lima, injuring two and frightening multiple pedestrians. The aftermath shows a small aircraft resting partially on top of a parked car with one of its wings hanging over a sidewalk and downed power lines visible. No one was seriously injured in the crash landing. Local police chief Mario Arata said there were no "major consequences” thanks to the pilots' experience.